SGX Day Traders: 2014 Jun 03-- #sgxdaytraders Today issued 5 buy calls Rowsley, LantroVision and CWT entries signal triggered. and Rowsley Sold partial for intraday profits at 0.305. Congrats all vested. 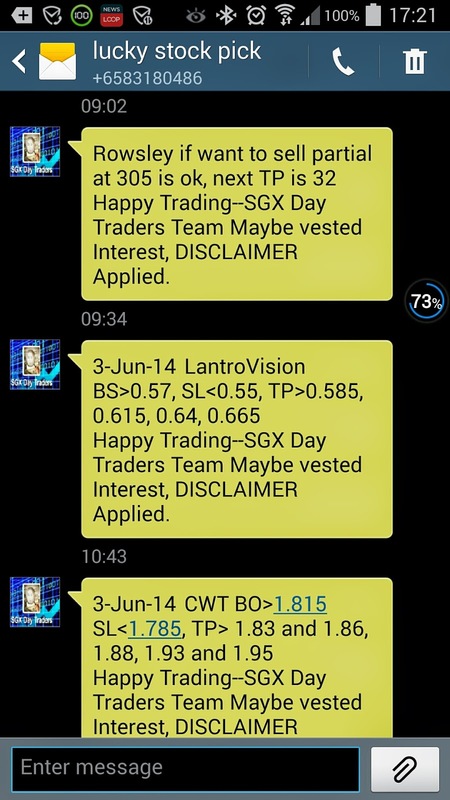 2014 Jun 03-- #sgxdaytraders Today issued 5 buy calls Rowsley, LantroVision and CWT entries signal triggered. and Rowsley Sold partial for intraday profits at 0.305. Congrats all vested.